Pakistan’s chief justice says he will decide, “soon,” the fate of Aasiya Noreen, a Christian woman whose 2009 conviction on blasphemy charges has fixated world attention on the country’s treatment of religious minorities. Chief Justice Saqib Nisar told Noreen’s lawyer, Saif-ul-Malook, on 21 April that he would hear the woman’s appeal. 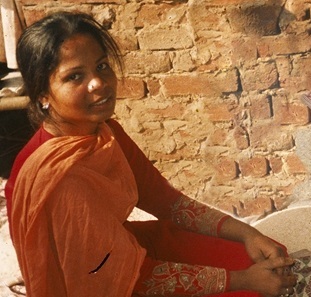 Noreen, popularly known as Asia Bibi, has been imprisoned since 2009. “Be ready, Saif-ul-Malook. I am going to fix your case soon and I myself will preside over the bench,” the Catholic news service UCAN reported Nisar as saying. “Bibi’s family and everyone else who understands her ordeal are ecstatic at the news that her appeal will be heard soon,” Malook told UCAN. According to Pakistan Today, the Chief Justice also said that all criminal appeals before the Supreme Court will be decided by July. The report did not explicitly mention Noreen’s case, but it is a criminal matter. One NGO, the Paris-based Comité International Asia Bibi, claimed the hearing could take place as early as tomorrow (27 April). The NGO’s secretary-general, Anne-Isabelle Tollet, told World Watch Monitor by telephone today (26 April) that she had been in touch with Noreen’s family and that they had told her the hearing was “confirmed” for tomorrow. “Though,” she added, “It’s Pakistan, so you never know. But inshallah [God-willing]”. Noreen, a Catholic mother of five children, was arrested for allegedly making derogatory comments about Islam’s prophet, Muhammad, during an argument with a Muslim woman. She has been in prison ever since and was sentenced to death for blasphemy a year later. During an appeal the Lahore High Court upheld her death sentence. She filed an appeal with Pakistan’s Supreme Court but her last appearance, 20 months ago, was adjourned amid protests. 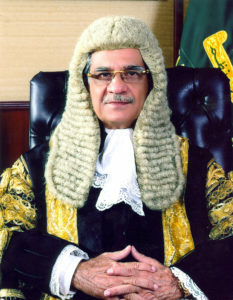 An appeals court in 2014 used Noreen’s case as justification to ask Pakistan’s government to change court rules in such a way as to make future blasphemy convictions more difficult to obtain. Only Pakistan’s Supreme Court can change Noreen’s death sentence. The Italian news organisation La Stampa reported that Noreen herself has learned of the chief justice’s intentions. “She was thrilled and full of hope; she reacted with great faith, giving praise to God,” La Stampa quoted Joseph Nadeem, a family associate and head of an educational foundation in Lahore, as saying after a visit to Noreen in the Multan women’s prison. It said Nadeem reported Noreen to be in good health. 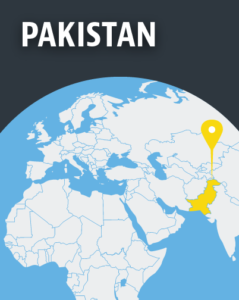 La Stampa also reported that the Council of Bishops of Pakistan, which comprises pastors from a variety of Christian denominations, “expressed appreciation” for the chief justice’s decision. As part of his decision to hear Noreen’s appeal, Justice Nisar ordered police protection for Malook restored. Two prominent Pakistani politicians were assassinated in 2010 after they spoke publicly in Noreen’s defence. During a visit in December the EU’s Special Envoy for Freedom of Religion or Belief, Jan Figeľ, told Pakistani officials that the renewal of their export privileges to Europe depends on the release of Noreen. The British Pakistani Christian Association said earlier this week that it was disappointed with the news that the EU had decided to renew the trading agreement with Pakistan.